Rey’s parents’ identities revealed in The Last Jedi. The Last Jedi Finally Revealed the Identity of Rey’s Parents. It Was the Right Choice. Spoilers for Rey’s parentage and a major Last Jedi plot point ahead. She’s not a Skywalker. She’s not a Solo. She’s not even a Kenobi or a Jinn or a Palpatine or an Erso. Since The Force Awakens, the Star Wars franchise has been teasing out the mystery of Rey’s parentage, and The Last Jedi finally gave us an answer, though it’s one that will surely have its detractors. Rey’s parents are … nobody. Well, nobody important, at least. The revelation comes about two-thirds into The Last Jedi, during a confrontation between Rey and Kylo Ren, who is tempting her to join him so that they can establish a new order together. He urges Rey to let go of the past—and suggests that, despite all her searching, she already knows why she was abandoned on Jakku and who her parents are. KYLO REN: You know the truth. Say it. KYLO REN: They were filthy junk traders who sold you off for drinking money. They’re dead, in a paupers’ grave in the Jakku desert. And so all the elaborate fan theories—She’s Luke’s daughter! She’s Obi-Wan’s granddaughter!—fall away as we learn that Rey doesn’t belong to any pre-established dynasty in the Star Wars universe. It’s bound to disappoint some fans, but it’s also a smart choice on the part of the filmmakers, one that honors the franchise’s roots while also giving it a path forward beyond the neverending Skywalker drama. First things first: Could Kylo be lying about who Rey’s parents are? Sure. He is, after all, trying to convince Rey to cut ties with the Resistance and join him, and “You’re nothing—but not to me” is a smart recruiting tactic. But even if Rey’s parents aren’t actually dead, there’s no reason to doubt it when she says she knows that they were “nobody.” The Last Jedi is full of parallels to The Empire Strikes Back, the film in which Luke learns his own origins, but Rey’s story is always a little different. When Rey has a Force vision of her parents on Ahch-To, for instance, she doesn’t see herself in a Darth Vader mask; she just sees herself, as she is. And when she finally learns the secret of her identity, it’s during a confrontation that mirrors the one between Luke and Darth Vader in Empire, right down to the offer to join forces and the familial truth-telling. Kylo’s insistence, “You know the truth,” even has a ring of Vader’s “Search your feelings, you know it to be true.” These are signals to the audience that the revelation is meant to be every bit as true and devastating as “I am your father,” if not quite as surprising. Let’s assume, then, that we can take the fact that Rey does not have some deeper genetic connection to the conflict of the galaxy at face value. That means that a very powerful Force user is essentially a random player in this story, which fits nicely with The Last Jedi’s overarching philosophy, that heroes can come from anywhere, whether they’re ex-Stormtroopers or humble maintenance workers or Force-sensitive kids in the far reaches of the galaxy. It also creates yet another interesting parallel between Rey and Luke; before he learned he was the son of Darth Vader, Luke, like Rey, was just a poor kid from a desert planet who happened to stumble across the right droid. 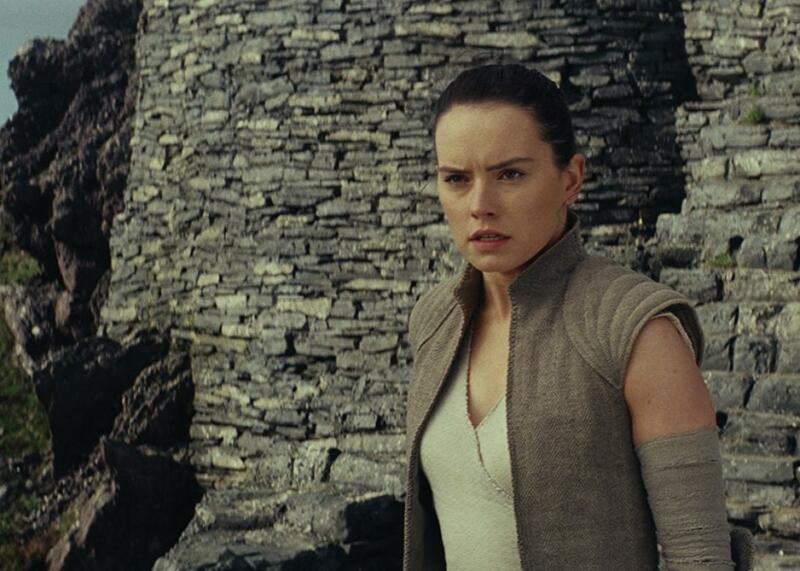 Making Rey a very important “nobody” also sets the stage for the future of Star Wars, one in which the movies will no longer need the Skywalker family as an anchor. It’s a big galaxy out there, and The Last Jedi’s director, Rian Johnson, is already working on a new trilogy that will explore new characters and an unexplored corner of the galaxy. That makes the Force Awakens trilogy something of a transition period between the old Star Wars and the new, and since Kylo Ren is already the son of two of the franchise’s major players, Han Solo and Leia Organa, the family soap opera angle is well covered. It’s time for some new blood in whatever future the Jedi Order, a family in its own right, will have. Of course, there’s still a chance that we’ve been tricked and that Rey’s parentage could still be explored further in Episode IX—but that would take away from what Johnson has accomplished in The Last Jedi, and Rey’s unassuming parentage raises other, much more interesting questions to ponder in the meantime. Why is she so powerful with the Force? What’s fueling her psychic connection with Kylo in particular? What made the Skywalker lightsaber call to her, anyway? Is she the next Chosen One? The Chosen One reincarnated, maybe? Good thing we have two long years to speculate.